This past Black Friday I got up bright and early but I didn’t head to the mall or to our local big box store. Instead I took a drive through Nine Mile Canyon to find some new rock art. I’m sure I had a much better day than anyone out trying to get a deal. One of the highlights of my day was finally visiting this awesome owl petroglyph panel. I’ve wanted to get to this one for a few months and am glad I was able to make it happen this year. 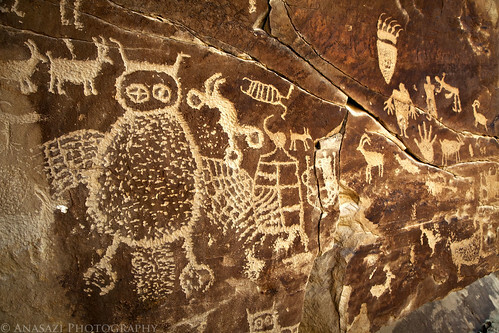 The details in this petroglyph are just amazing!